Whether your style is classic or contemporary, sophisticated or minimal, the Mr BURBERRY Indigo scent will appeal to men of many contrasts. 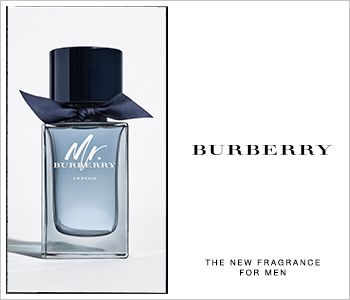 For a man who likes to mix it up but still look and feel his best, the laidback yet mysterious attitude of Mr BURBERRY Indigo keeps things fresh and exciting with invigorating notes of fresh lemon and sleek woods. Complete with a suave grooming routine to match the Eau de Toilette, the Mr BURBERRY Indigo fragrance ritual represents the quintessential essence of British refinement with a casual twist.